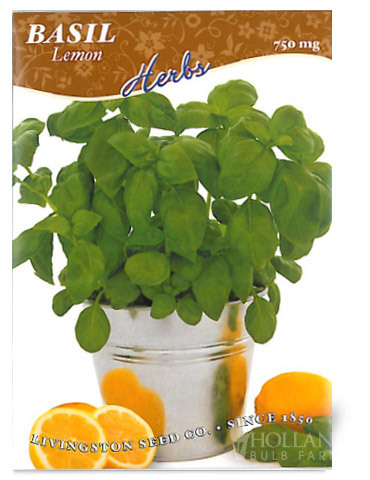 Lemon Basil has a wonderful citrus fragrance and flavor. Good in vinegar, and with fish, meats and pesto. Bring the wonderful fragrance indoors by adding the dried leaves to potpourri. To encourage a bushy plant, keep pruning. Grow indoors or out. Matures in 80-90 days. Drying tip: Dry by tying the leafy stems into bunches and hanging upside down in a dry, warm place until dry.